In 1938, when Edwin Müller arrived in the United States, he joined J.M. Bartels, and helped arrange a series of Special Rarity Sales from 1939 to 1941. These sales included portions of the world-famous European classics collection of Baron Alphonse de Rothschild who had recently fled from Vienna. In 1941, Mueller joined the eminent dealer and expert Otto Friedl to form the Friedl Co. in order to sell further sections of the Rothschild collection. (Friedl had also recently fl ed his native Vienna.) 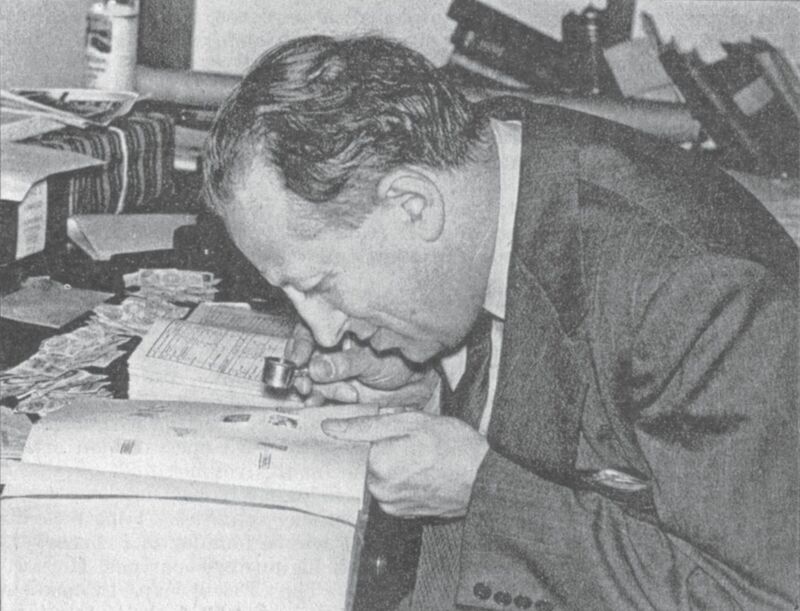 Mueller and Friedl also offered an expertising service for mostly European classic stamps, and helped further the study and collecting of them by American philatelists. In 1943, Mueller and Friedl formed the Mercury Stamp Company, selling privately and at auction many important collections of classic stamps. Besides further Rothschild material, Mercury sold parts of other important European collections. In 1948, Mueller and Friedl were joined by Herbert Bloch to form the Friedl Expert Committee, increasing the scope of their expertising service on mainly European classic stamps and covers. In 1947 , Mueller established the scholarly Mercury Stamp Journal, which he edited and wrote until his death. He wrote a series of articles on European classic stamps, arranged alphabetically by country. His last article was on the Netherlands. Today, his journal is considered a major classic of philatelic periodicals.